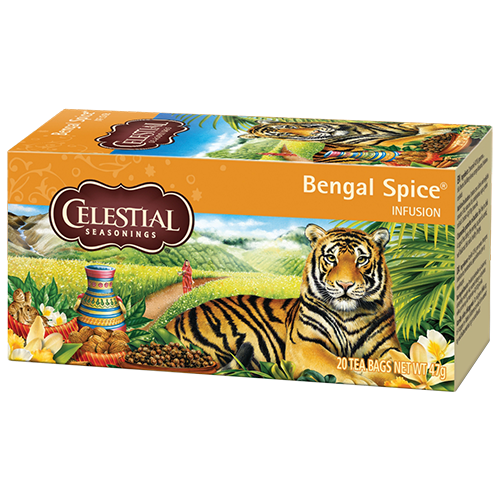 Celestial tea Bengal Spice tea bags are packed with cinnamon, ginger, cardamom and cloves. This adventurous blend is the decaffeinated interpretation of chai, the Indian piquant brew traditionally made with black tea. Try with milk and sugar for a true chai experience.